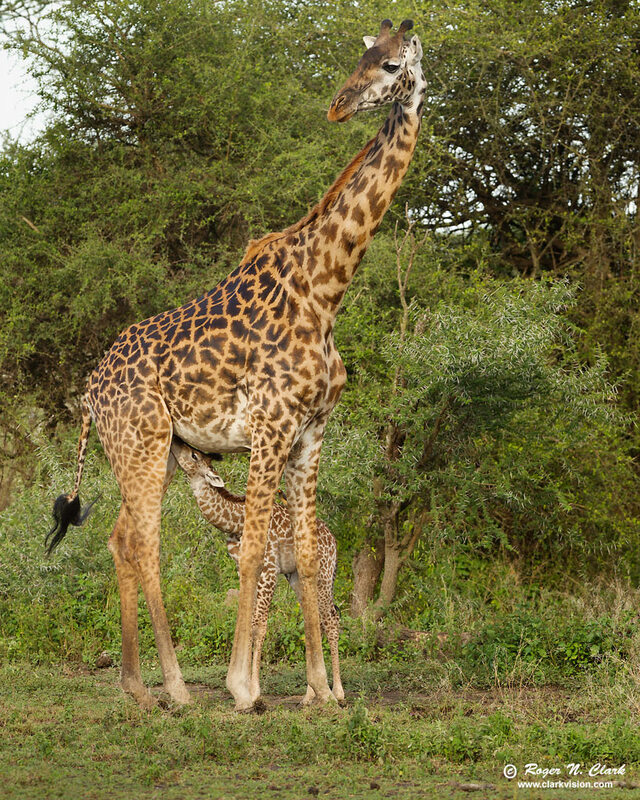 A tender moment with mother and baby giraffe in the late afternoon on the Serengeti, Tanzania. The baby Giraffe is a few days old, still with its umbilical cord. Technical. Canon 1D Mark IV 16-megapixel digital camera, Canon 300 mm f/2.8 lens at f/5.6, ISO 400, 1/500 second exposure. Manual exposure. Full width image, crop to 16x20 proportions.